Why is he so important for science and philosophy, for our knowledge, to understand why and how we produce new ideas, to think, to be and to know how to be by being and non-being? The Eleatica was a pre-Socratic school of philosophy founded by Parmenides in the early 5th century BC in the ancient town of Elea. For the ancient science and philosophy this school is very important, and the ideas from those moments have been desired and containing argument even now. Most of the physicists and scientist influenced from him, and considered his ideas. For Einstein, Parmenides was an influential ancient Greek philosopher, admired by Plato (who refers to "father Parmenides" in his dialogue the Sophist). Parmenides advocated the puzzling view that reality is unchanging and indivisible and that all movement is an illusion. Erwin Schrödinger identified Parmenides' monad of the "Way of Truth" as being the conscious self in "Nature and the Greeks". Recently Frank Anthony Wilczek (an American theoretical physicist, mathematician and a Nobel laureate) wrote about him in his book "A Beautiful Question." He was sent on a diplomatic mission to Athens in 450 BC to convince Pericles to sign a treaty of alliance. Apparently the philosopher, accompanied by Zeno's disciple, spent more time to deal with his peers, including a young Socrates, who among politicians. Of this meeting Plato (his book namely Parmenides) made a report, which shows the bitter dispute dialectic. 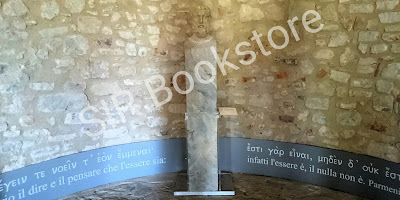 You see below what it is written in the museum of Parmenides (in Elea) for the explanation about him. 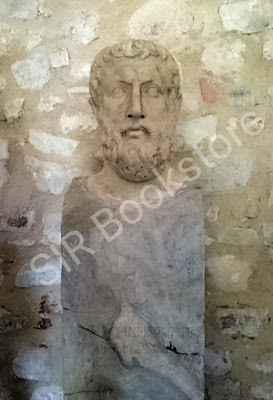 Stele, con iscrizione per Parmenides, con testa- ritratto attribuita al filosofo. 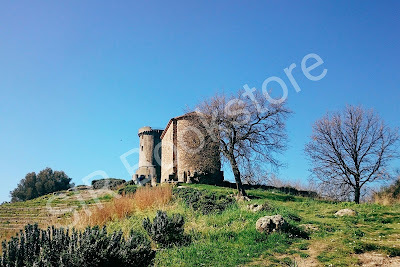 (clasman of Oulios -natural healer-), Physiko. Parmenide e la Scuola filosofica eleate. What is written on the statue? What is written near the statue? infatti essere e, il nulla non e.
in fact it is and nothing not. 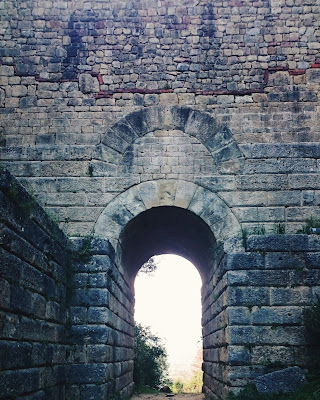 According to Parmenides, thinking involves being, that if I can think of something then it exists. Basically if I thought a ghost, then it exists, because somehow, just by thinking about it I gave him a meaning, even if only in my brain. What is not, it cannot be the thought of nothing. Not being is the set of things visible to our senses, while Being is the true nature of those same things. Being is the thing itself , but not the appearance, like painting of Rafael for instance. Painting is the Being, not its apperance. Aletheia: (Ancient Greek: ἀλήθεια) is the truth or disclosure in philosophy. Aletheia is the goddess of Parmenides. It was used in Ancient Greek philosophy and revived in the 20th century by Martin Heidegger. ``From Parmenides' poem: Fr.14`` : Recognizes that the moon shines with 'borrowed light'. His own cosmological theory even today it's true. In the poem, the goddess warns against mortals who know nothing. Zeno of Elea was an ancient philosopher who lived before Socrates and Plato. 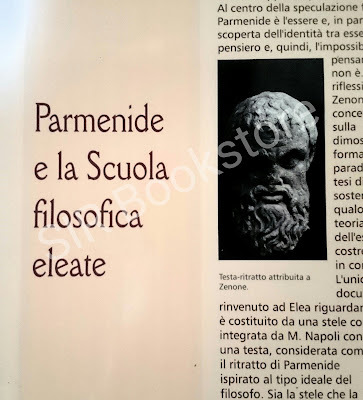 Zeno's teacher was Parmenides.He is still famous with his paradoxes. One is Achilles and the Tortoise. From the book, Parmenides by Plato. 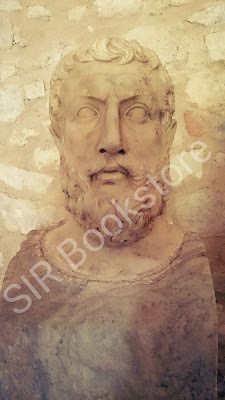 Plato's book "Parmenides" can be found here. still influence to quantum physics and physcists (prized Noble). We can think because our mind is capable of identifying. Parmenides, 26 centuries ago, taught us that to be and to think is the same thing. The exact essence of this Parmenidean assertion was repeated by Einstein last century. Ilkcag felsefesini anlayabilmenin yolu, Nietzsche yi de anlayabiliyorsaniz anlamli! Muhtesem basucu kitaplarindan. Very nice so Kundera impressed from Parmenides and went to `being`. But Parmenides not mention -good- or -evil-. Also I m not agree opinion him about Descartes. Share book reviews and ratings with Ruzgar, and even join a book club on Goodreads.